Remembers when BMX and skateboarding started getting huge in Manila. The BMX movie “Rad” was shown in local cinemas but the producers had to change the title to “Helltrack”. It was one of the first movies of Lori Loughlin and sure enough, every hot-blooded male teenager during that time had a crush on her. The movie also starred Talia Shire who played the male lead’s mother. Her husband was the producer of the movie, Jack Schwartzman. Jason Schwartzman, who is now a popular actor and the drummer for Phantom Planet, is their son. While it was a box-office disaster in the US, it gained a lot of fans in the Philippines. When it came out as “Helltrack” in the moviehouses, a lot of kids had already seen it in Betamax. In the same year, the skateboard movie, “Thrashin'” was released starring Josh Brolin. Again, the producers thought that no one in the Philippines knew what “thrashin'” meant so they changed the title to “Challenge to Win”. The movie featured then relatively unknown Los Angeles band, the Red Hot Chili Peppers. 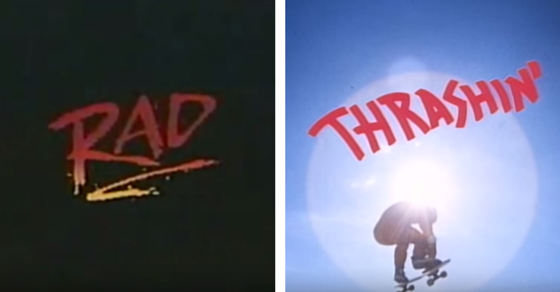 Like “Rad”, “Thrashin'” achieves cult status in the Philippines. Hey Marco! You’re right, man. I forgot about “Gleaming the Cube”! Oo nga ‘no? Thanks for the reminder! Hahaha. Back then I was crying like hell begging my mama to buy me a skateboard after watching Challenge to Win…hehe. .I am now 30 years old and still love to see the movie “Challenge to Win Again” …again. Hi there, no unfortunately, I haven’t posted in ages but I still moderate the comments. Yes, I’ve found and seen the movie since then.